The latest Joomla! 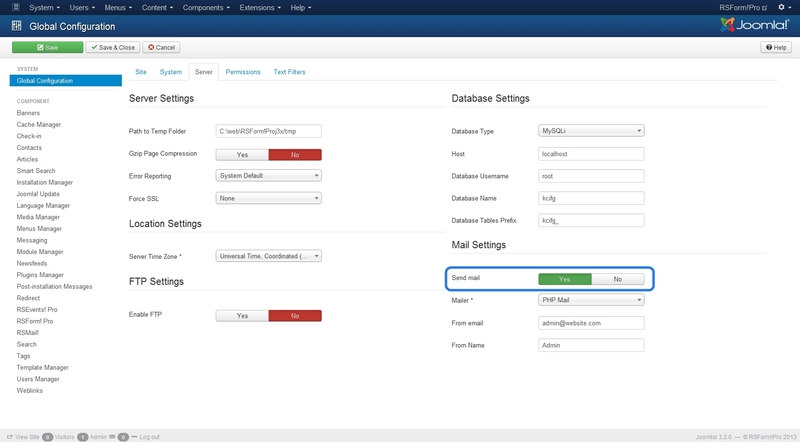 release (3.2.0 to date - November 2013) has introduced a new feature that allows you to completely disable your website's email functionality. This feature is currently causing some issues, as the configuration.php file does not contain this setting after the update (although it may be set to Yes in System >> Global Configuration >> Server >> Send mail). Fortunately, this issue can be very quickly fixed by making sure that Send mail is set to Yes and simply clicking on Save. 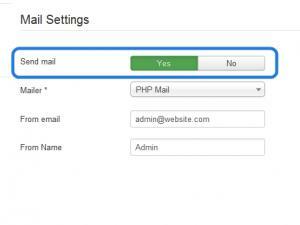 In doing so, the setting will be added in configuration.php and the email sending functionality will be re-enabled. 2 persons found this article helpful.